← A Friday Favorite for Summer – Willy Wonka’s Watermelon! 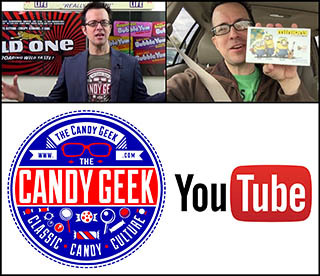 These days, the idea of a short-run licensed candy bar or candy bar tie-in with a film or television show is not all that uncommon. In the 1970’s it was all-but-unheard of, at least in this country. 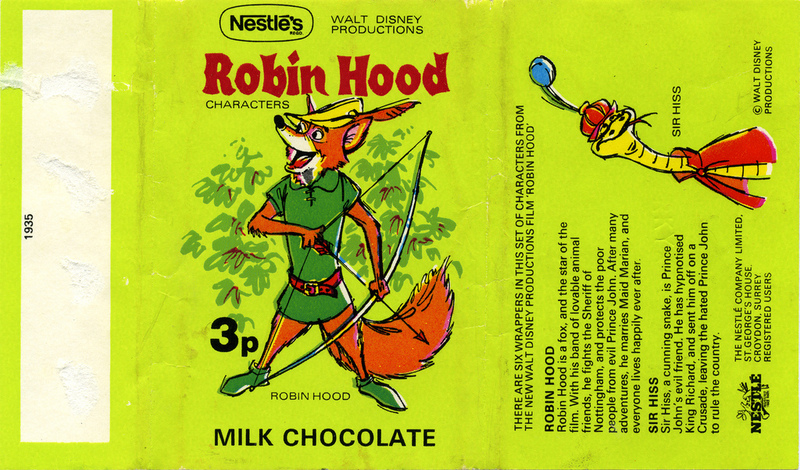 In the UK however, they’ve been creating limited run licensed candy tie-ins since the 1960’s. 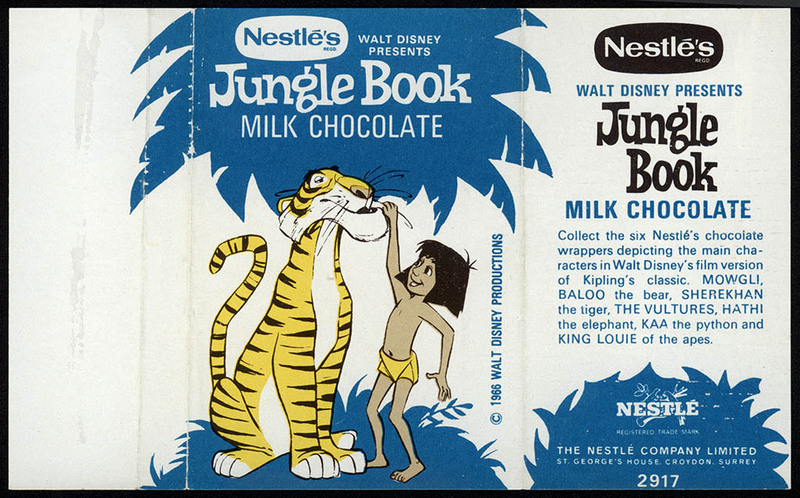 I think this is at least partly to do with the fact that in the United Kingdom, unlike the United States, saving and collecting wrappers was not so uncommon. 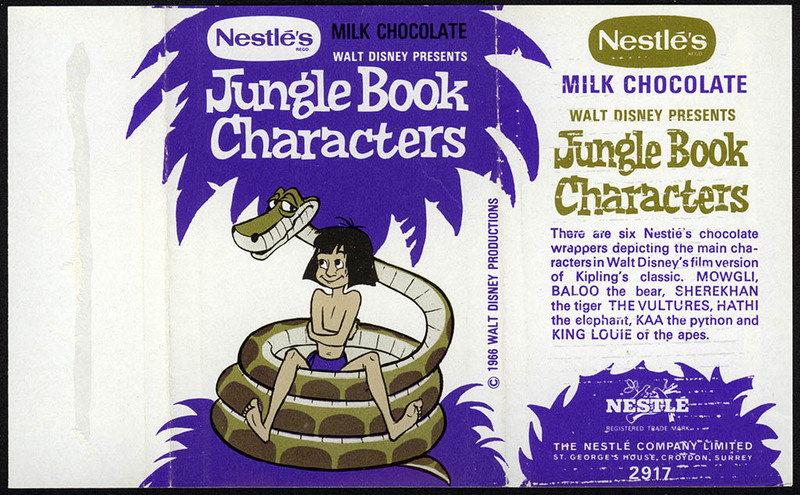 Knowing that folks might try to collect a set of wrappers, the manufacturers came up with ways to feed that mindset. Without speculating on the how’s and why’s of our similar-but-different culture and pop-culture habits, I’ll cut right to it. 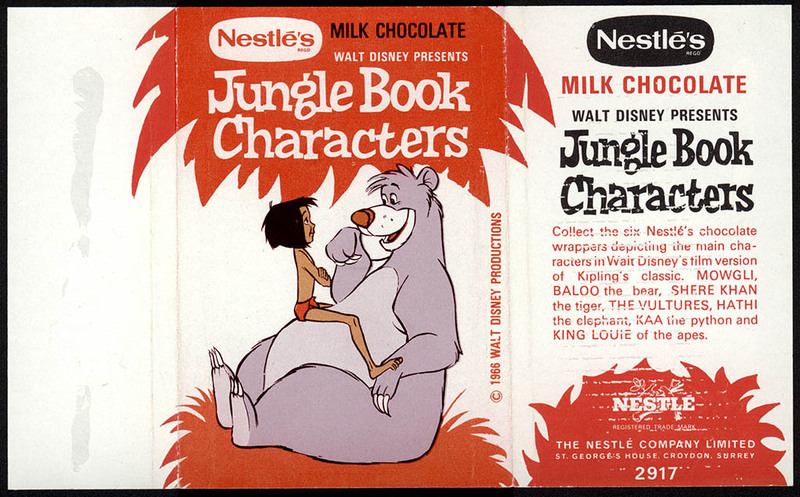 This week I have finally managed to assemble a near-complete wrapper set of one of these short-run licensed candy bar releases; the one created from the characters of Disney’s Jungle Book. So my search to complete this set will continue until I find that Vultures wrapper. 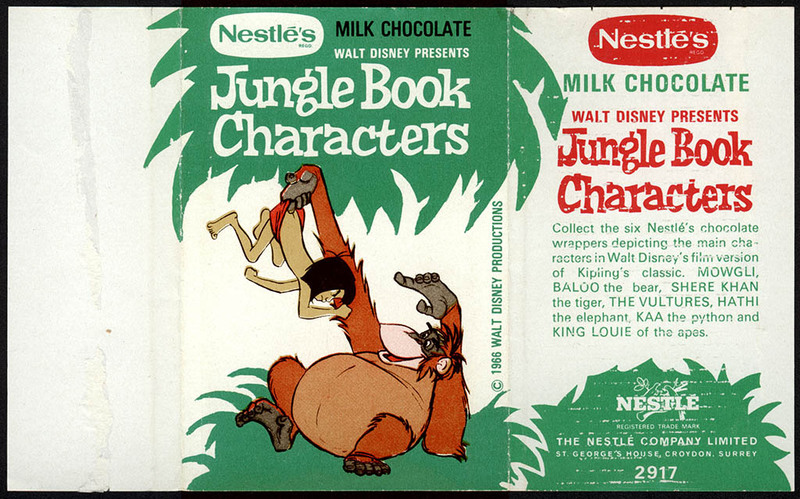 There have been many films and television shows that were given the limited run chocolate bar treatment over the years in the UK. There have been some pretty neat ones, and I’ll be covering more of them in future posts here. And that’s all for today. Happy Father’s Day everyone! 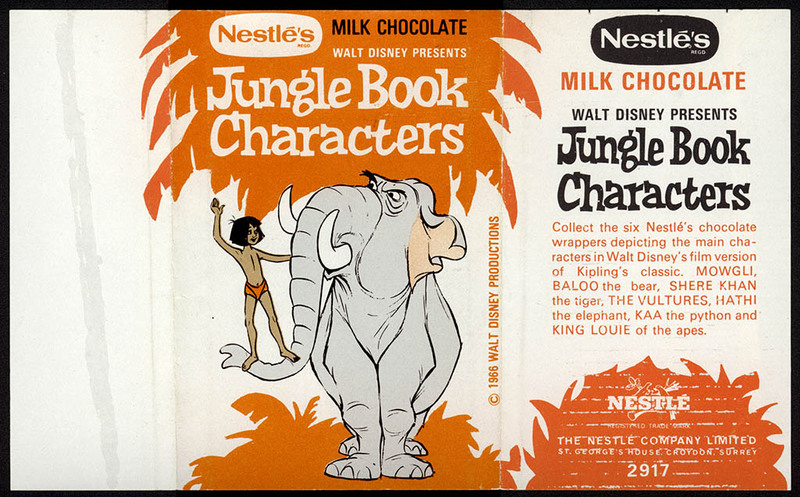 This entry was posted in 1960's, 1970's, British, Chocolate and tagged 1960's, 1970's, 60's, 70's, animation, antique, candy collecting, candy collection, candy wrapper collection, candy wrapper collector, chocolate, collectibles, collecting candy, confection, confectionery, Disney, ephemera, Jungle Book, sweets, vintage. Bookmark the permalink.